Smartphone « Global Market Insights, Inc. Predominantly driven by the surging demand for fine pitch panels, micro LED display market has witnessed a massive growth over the recent years. Renowned technology heavyweights have been increasingly deploying micro LED display panels in smartphones, smart watches, tablets and laptops to ensure a high wavelength uniformity suitable for fine pixel pitch LED displays. For instance, South Korean electronics giant LG Electronics, has recently announced its plan of introducing a new line of micro LED displays in the industry. Christened as XLµLED, XµLED, and SµLED, LG is finalizing the paperwork to trademark these displays in the EU. 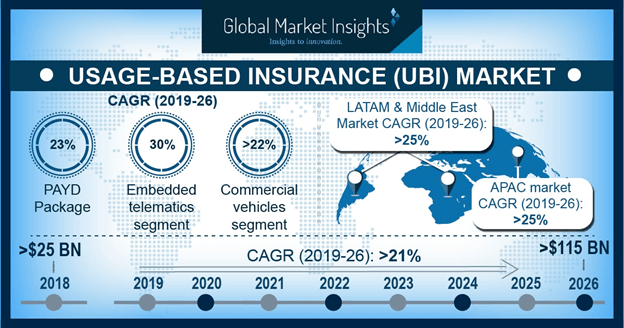 The commendable growth prospect of this particular business vertical can be majorly attributed to the growing investment by eminent companies to bring technological modifications in near-to-eye devices. 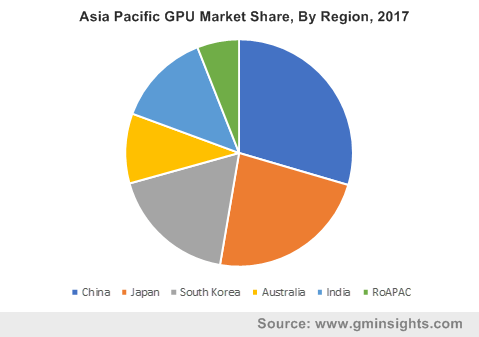 In this regard, it is prudent to mention that the expansion of the semiconductor industry has proved to be a catalyst in augmenting miniaturized electronics component trends, concurrently sowing the seeds of developments in micro-LED display market as well. Justifiably so, Apple has recently entered into a strategic partnership with the globally acclaimed Taiwan Semiconductor Manufacturing Company (TSMC). Through the agreement, Apple mainly intends to increase its research investment in micro LED panels for its upcoming smartwatch range. The U.S. has emerged as a lucrative growth ground for micro LED display industry, given the robust demand for smart wearables in this region. As per reliable statistics, in 2017 alone, smartphone shipments in North America were valued at over 200 million units. Smartphone users in the U.S. are expected to grow to a staggering 230 million by the end of 2018. This would substantially necessitate the requirement of advanced micro LED displays, leaving an impact on the regional micro LED display industry share. Global Market Insights, Inc. projects U.S. micro LED display industry to exceed USD 7 billion by 2024. While a considerable number of deployments have witnessed success early on, the commercialization matrix of the micro LED display market is still claimed to be at its nascent stage. In an effort to bring the business to the mainstream, leading industry players have been putting their efforts to enhance the distribution channels, so that manufacturers can conveniently shift from traditional LED components to technologically competent components. 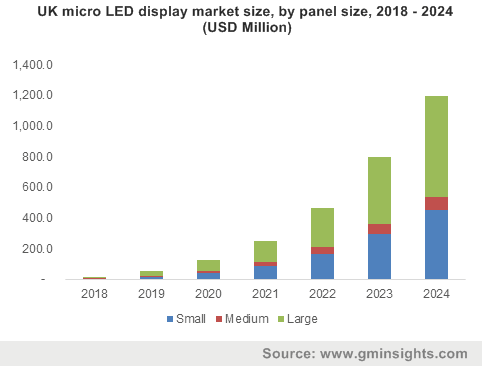 This, in consequence, would ultimately lead to robust product sales and popularity, thereby augmenting the profitability quotient of micro LED display market in the forthcoming years. This entry was posted in Electronics and Media and tagged AR Headsets, Digital Signage, HUD, Laptop, Micro LED Display Market, Micro LED Display Market Forecast, Micro LED Display Market Report, Micro LED Display Market Research, Micro LED Display Market Share, Micro LED Display Market Size, MicroLED Display Market, Panel Size, Smartphone, Smartwatch, Tablet, TV, VR Headsets.